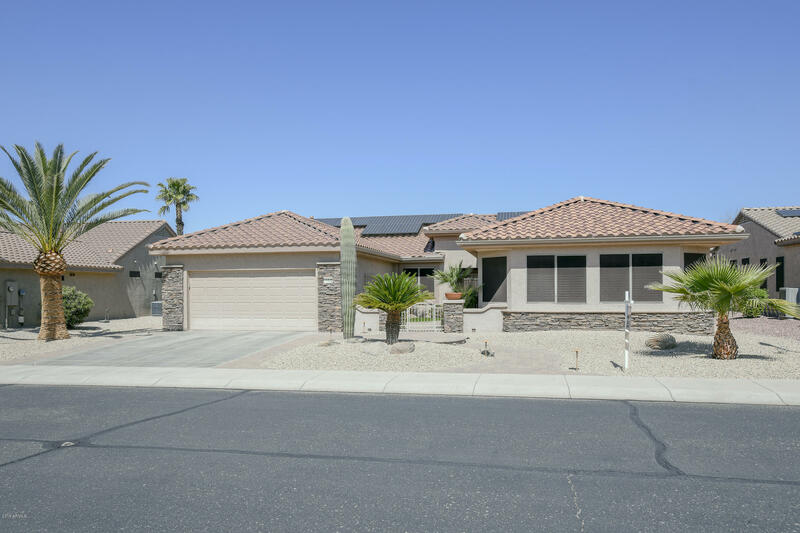 All SUN CITY GRAND DESERT TRA homes currently listed for sale in Surprise as of 04/23/2019 are shown below. You can change the search criteria at any time by pressing the 'Change Search' button below. 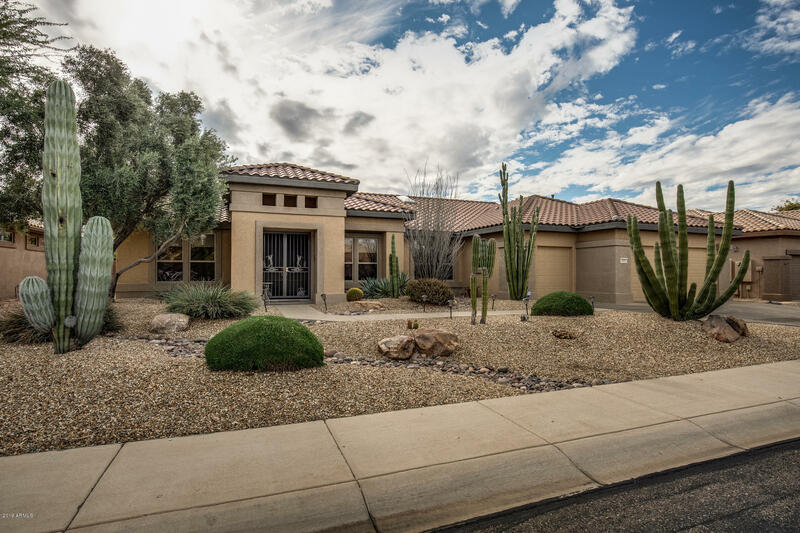 "One of Sun City Grands finest...be the talk of the block with this Phenomenal home. No expense spared, amazing upgraded & expanded Coronado. Nestled in the Active Adult Community of Sun City Grand is your next 3 bedroom, 3 bath, plus Den home. This home has been expanded to 2550 sqft to include either a 2nd Master Bedroom or in-law suite with its own bathroom & walk in closet & shower . 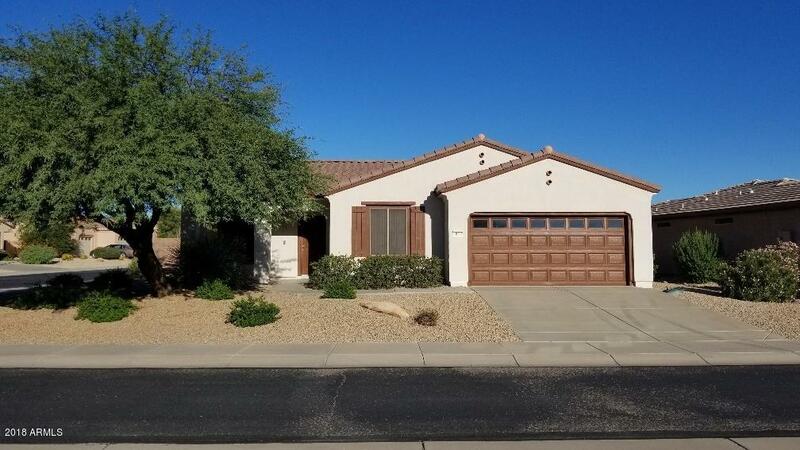 Large kitchen with tile counter tops & a beautiful 2'' thick walnut bar top, upgraded stainless steel applianc"
"This modified Ironwood floor plan features vaulted ceilings, spacious great room, plus formal dining. The gourmet kitchen has extended cabinetry with pull-out shelves, Quartz counters, butler's area and large pantry. The master retreat has a sitting area with door to the backyard. Master bath has extended vanity, jetted tub, and oversized shower. Guest suite has private bath. 3rd bedroom and powder room offer plenty of room for guests. 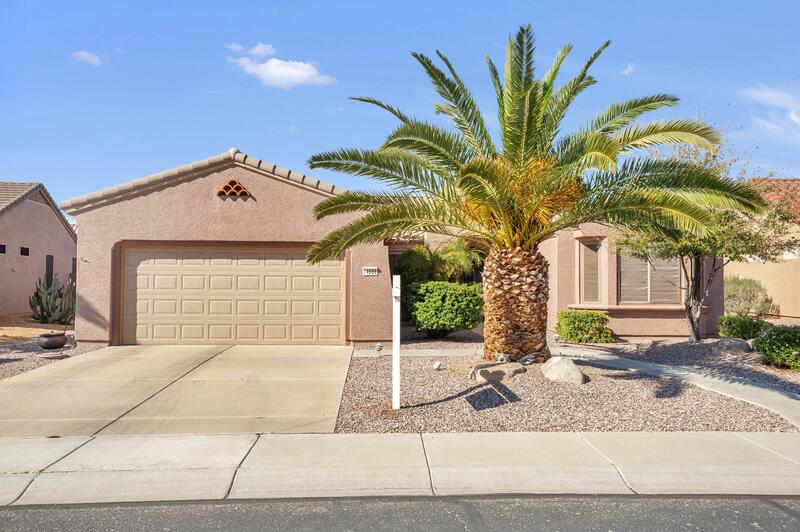 The private backyard offers a water feature, fruit trees, p"
"You will fall in love with this popular MISSION floorplan along with the spectacular location within the Grand community. You are close to recreation facilities and a variety of grocery and other conveniences yet on a quiet street in a quiet neighborhood with an enclosed block backyard wall; privacy and serenity. Open floor plan, kitchen with island, room for everyday living and great for entertaining. Dual access to the back patio from both kitchen and master suite. New tile flooring, paint, ki"
"Located in the resort-like, adult community of Sun City Grand, this Legacy Model is a cozy, bright, clean, 1 bedroom plus den/guest room, 1.75 bath, granite in the kitchen, bay window in master bedroom, double sinks and updated shower in master bath, additional storage in the garage and a beautifully landscaped enclosed backyard complete with putting green, near shopping and restaurants. The perfect home for down-sizing. Neighborhood HOA includes monthly pest control, front yard maintenance, in"
"Great Sun City Grand property on a corner lot. 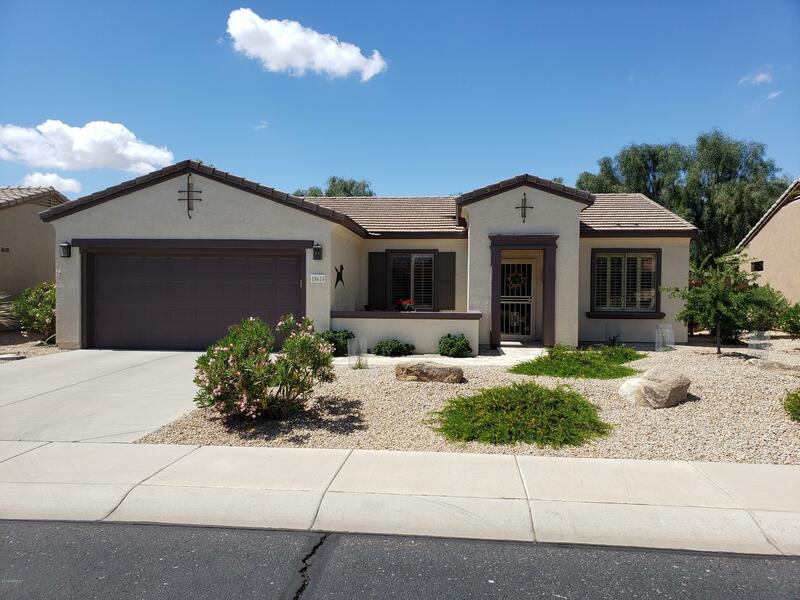 Fresh paint inside and out, tile in all the right places, carpet in bedrooms, granite counter tops, new AC unit, window treatments. Just a great home in a great neighborhood."